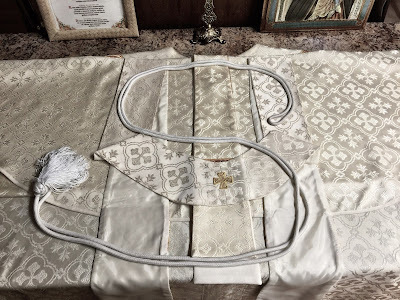 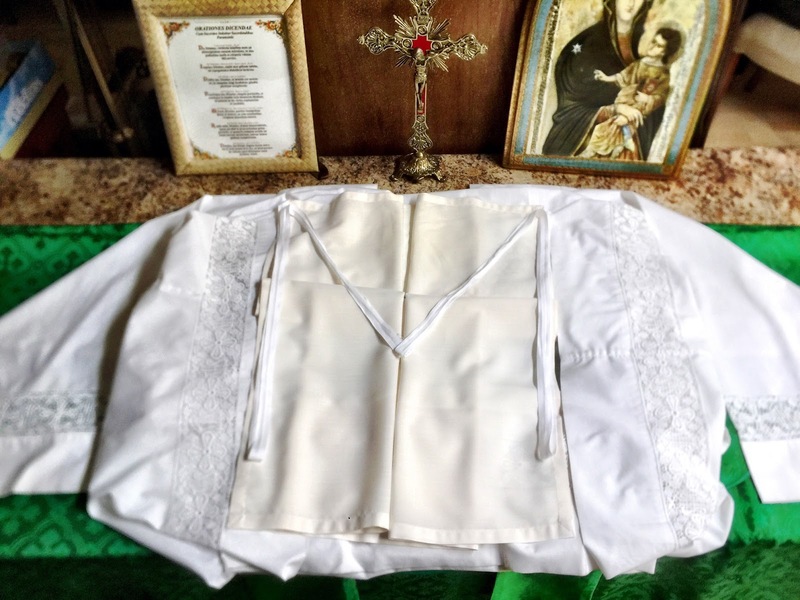 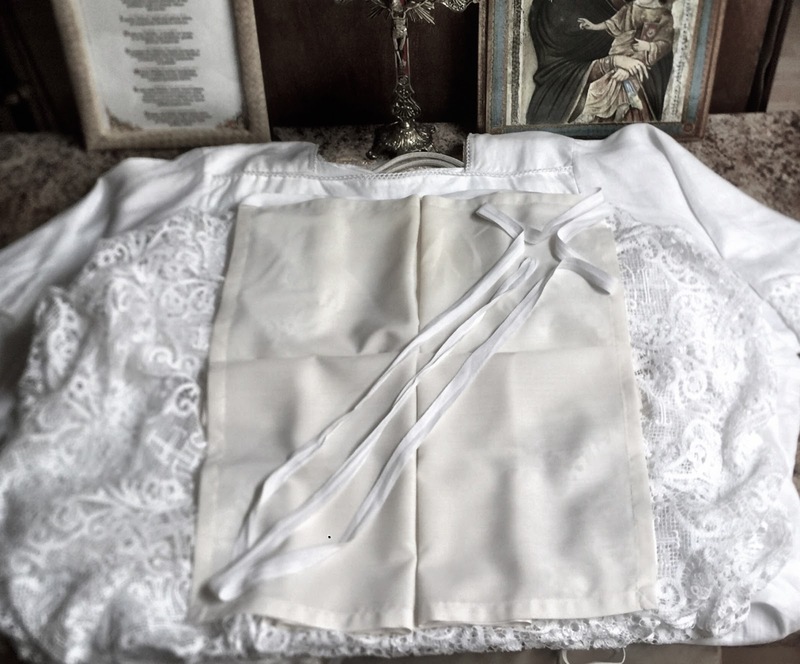 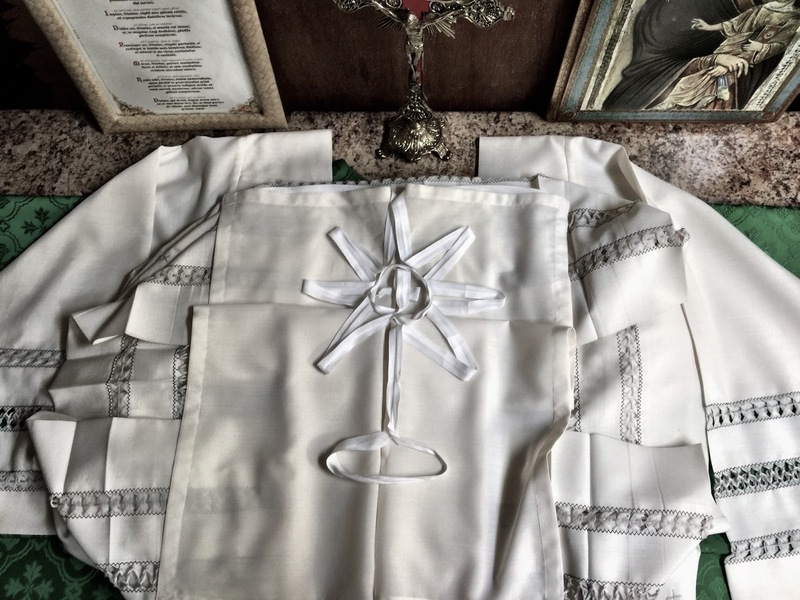 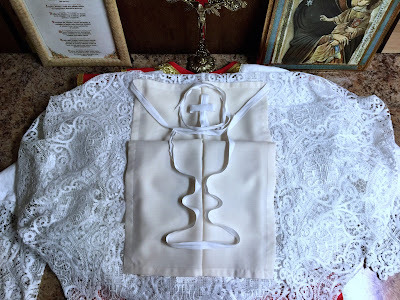 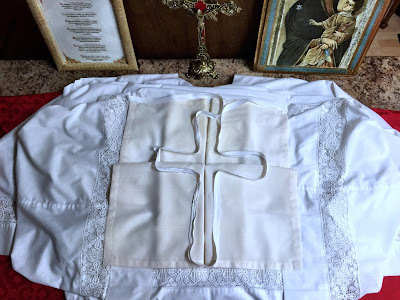 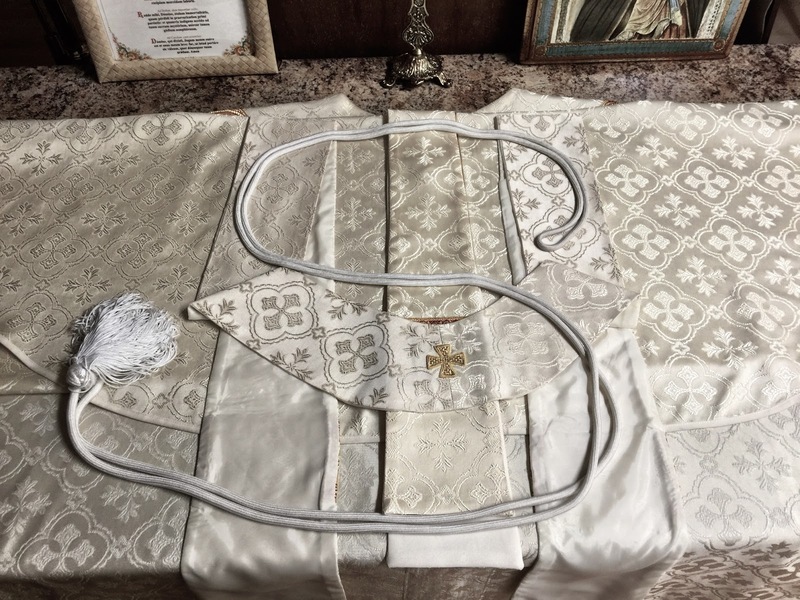 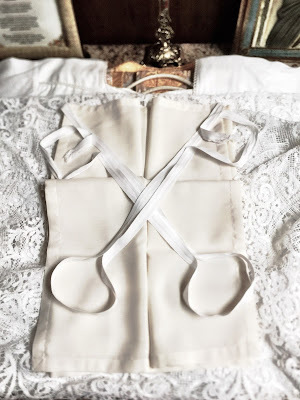 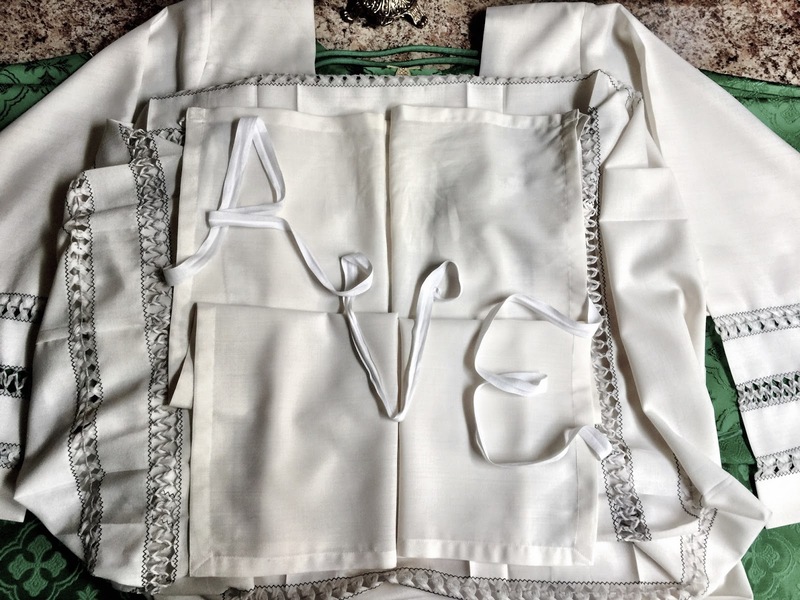 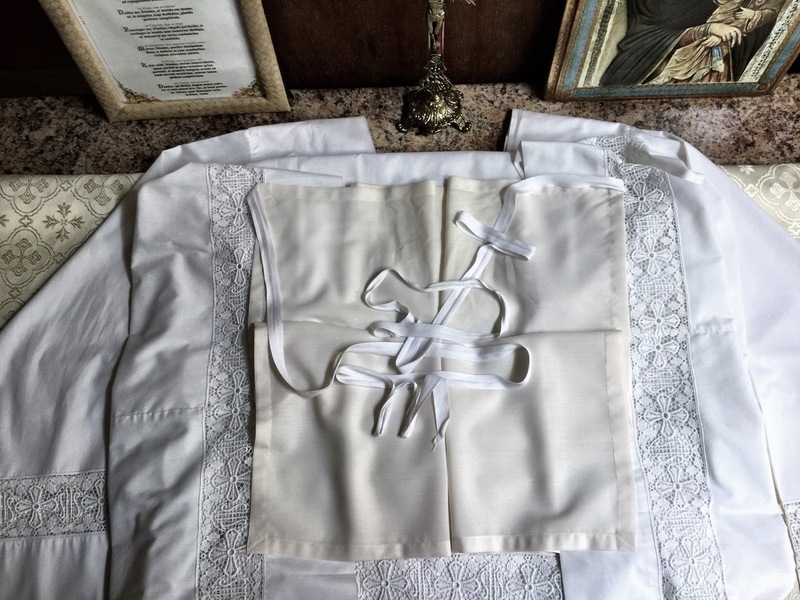 Last month, I published some photographs taken by Fr Jeffrey Keyes of the clever designs made with the ties of his amice by the sacristan of the convent where he says Mass. 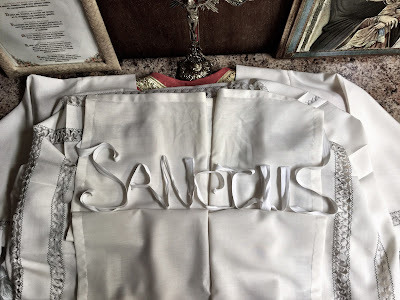 (This is at the Regina Pacis Convent of the Marian Sisters of Santa Rosa, in Santa Rosa, California.) Judging from the viewing statistics, which went through the roof, you really liked them, so here are several more. 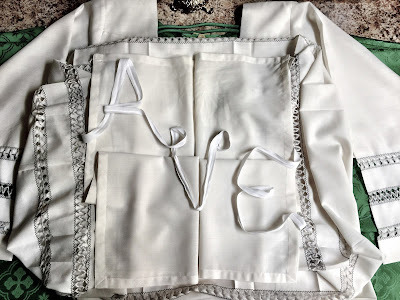 As I said previously, Sister is a true artist in her field, and with an authentic Catholic liturgical spirit, makes different designs depending on the liturgical season or feast day. 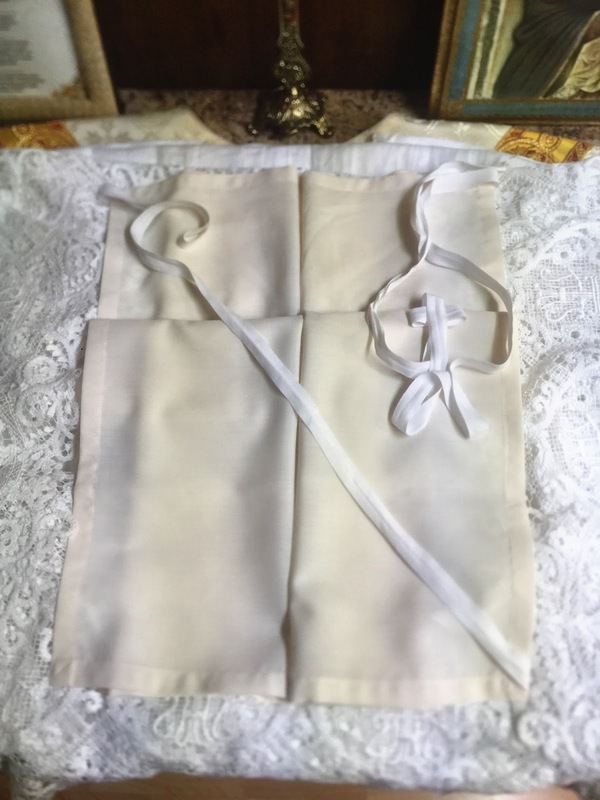 A sword, the emblem of St Paul, for the feast of his Conversion. For St John Chrysostom, a book with Cross on it, to symbolize his preaching on the Word of God.